“The lights are low and the music is hot. 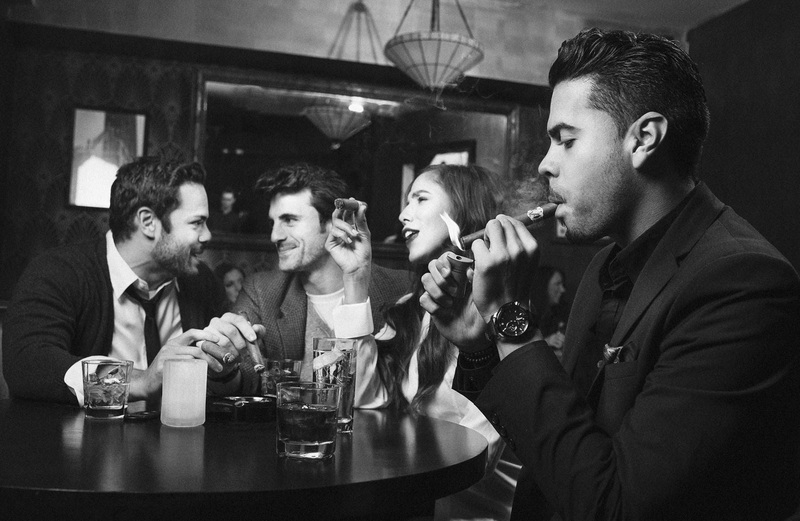 A small group of friends are sharing a moment and sharing the pleasures of a good cigar”. This was creative brief that we received from Michael Olsson of Colangelo, create that perfect “Avo Moment” for the launch campaign of their new Cigars. The opportunity of helping to create a brand is what people like myself dream of. The opportunity of creating visuals for a brand has compelling, as this one is exciting. As a photographer and as a person who loves the ambiance of a Jazz Club, whose favorite activity is enjoying an evening in the company of friends over music, fine whiskey and a good smoke, this project is a dream come true. I have spent evenings just like this in clubs from Florence, Italy, New York, Chicago, Milwaukee, Philadelphia and New Orleans. It is the magic in moments like these that Avo represents, that “Avo Moment” is what these pictures need to be all about. After the usual rounds of portfolio viewing and multiple bids, Zave Smith and his Agent/Producer, George Watson of Watson & Spierman Productions, were selected to create this “Avo Moment”. Three models were casted, rooms full of “extras” were invited and a wonderful Jazz Trio provided both the musical inspiration and visual texture that was needed to make this scene feel real. This entry was posted in Photography and tagged advertising, avo, Avo Moment, Chicago, cigars, Florence, George Watson, Italy, jazz club, Michael Olsson, Milwaukee, New Orleans. B&W, New York, Philadelphia, smoke, whiskey, Zave Smith. Bookmark the permalink.